SAVE THE DATE: Mayor's Arts Awards! The Mayor's Arts Awards are the most prestigious honors conferred by the city on individual artists, teachers, nonprofit organizations and patrons of the arts. 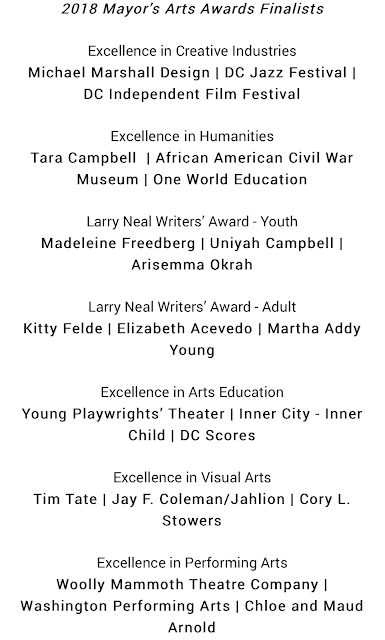 This year, the DC Commission on the Arts and Humanities will present the 33rd Annual Mayor's Arts Awards. 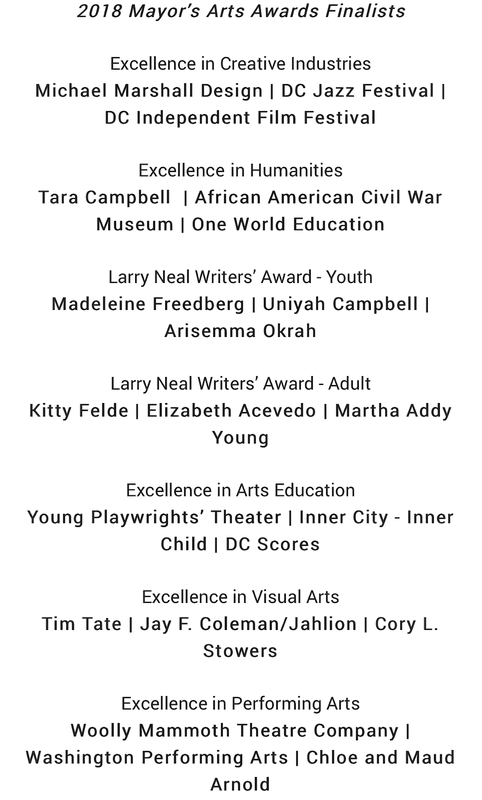 Artists and Organizations will be recognized in six categories: Excellence in Visual Arts, Excellence in Performance Arts, Excellence in Creative Industries, Excellence in Arts Education, Excellence in the Humanities and The Larry Neal Writers' Award.